Tonight, NBC will premiere their new Thursday lineup. The centerpiece of their night is the back-from-the-grave Will & Grace, which returns after a decade off the air. The night sees just two members of its 2016-17 schedule returning to the night, 8 PM shows Superstore and the Good Place. 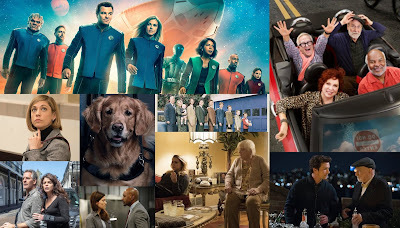 Great News gets the (hopefully cushy) post-Will & Grace slot, while Chicago Fire (which had Great News as a lead-in last year) also makes the move from Tuesday to Thursday. It's really anyone's guess how this night will rate, as Will & Grace is a huge question mark. NBC's longest-running sitcom, Superstore takes the 8 PM slot for its second season. The show pulled OK ratings for the majority of season 2, but sank to lowly 0.8s and 0.9s for its final episodes. 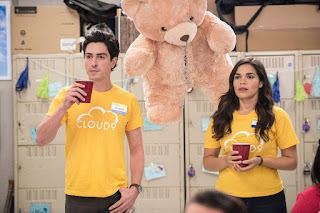 Can Superstore recover and find its way back to Cloud 9 or is it in for a long season of ugly ratings? Predict the Season Premiere Ratings for "Superstore"
A surprise success in season one, the Good Place secured a season two renewal less than two weeks after it wrapped its inaugural season. 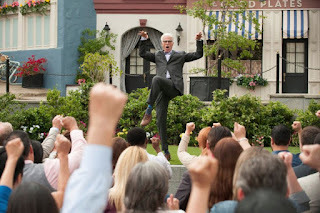 Starring Kristen Bell and Ted Danson, the afterlife comedy returned for season 2 last week, scoring a very meh 1.3 behind the huge AGT finale. 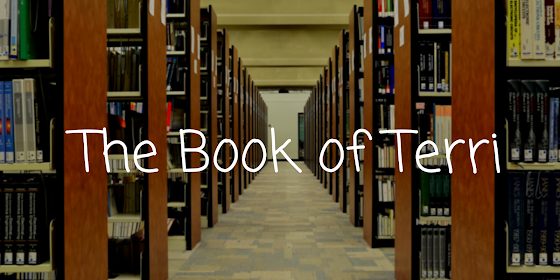 Will that help the series at all or will it suffer a major sophomore slump in season 2? Predict the Timeslot Premiere Ratings for "The Good Place"
After more than a decade off the air, NBC's iconic trailblazing sitcom is returning tonight with its core cast all set to return. The series has already secured a season 10 pickup, before season 9 even premiered. Clearly NBC is confident, but are you? Predict the Revival Premiere Ratings for "Will & Grace"
Let's be real: Great News was not a ratings success in season one. It premiered with an OK 1.2 and sank as low as 0.6, with a 0.8 for its finale. But the Andrea Martin and Briga Heelan-led series received a renewal, and a fall slot behind Will & Grace. Tina Fey is set to guest star for season 2, and it's pretty clear that the network loves this show and wants it to be 30 Rock 2.0. The success of the show hinges on how well Will & Grace performs and how much of the W&G audience sticks around for Great News. Is NBC in for some Great News tomorrow morning or will they be greatly disappointed? Predict the Season Premiere Ratings for "Great News"
One of NBC's flagship dramas, and the first show in its Chicago franchise, Fire is moving to Thursdays. The series has aired on Tuesdays for four seasons, and has done very well for the network, posting a 1.5 average for season 5. It was treated to a huge lead-in from This Is Us, but it still held up decently with low-rated comedies (including its 2017-18 lead-in Great News) as its lead-in. Still, it's not known how well the show will deal with its move to Thursdays. 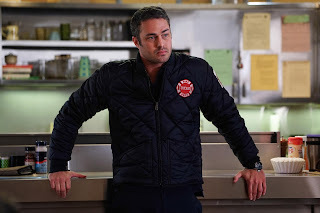 Will Chicago Fire succeed in its move or will it flame out spectacularly? Predict the Season Premiere Ratings for "Chicago Fire"